Earlier this week, my daughter and I were eating at a casual restaurant, a treat these days since I’ve been pretty good about sticking to my resolution to prepare and cook most of our meals at home. Just when I think that the world, in general, is striving to be more health-focused in their thinking, our server asks me to confirm that I do in fact want to order grilled chicken for my daughter as opposed to the fried chicken strips that are also on the menu. He didn’t even ask what side she wanted…he assumed it would be fries. I imagine he thought she wouldn’t eat the broccoli and carrots. The best part of the meal was when my daughter started eating the broccoli as is…without any prodding or coaxing. The very first foods we introduced to my children were fruits and veggies. Their little palates were shaped early on…some studies even suggest that they began developing in utero. Rather than succumb to societal norms that suggest children should eat different meals, my husband and I decided our children would eat the foods we prepared and consumed ourselves. I never understood why, as a society, we feel children aren’t capable of enjoying fresh fruits and veggies, whole grains, and sustainable fish. My children eat all of the above and more. One of the most important things I did when my children were very young was to involve them in the meal preparation process. I started cooking and baking with my son around 3, when he was verbal enough to follow simple commands and had the dexterity to manipulate some of the bigger utensils. To this day, you’ll often find him standing next to me in the kitchen…observing, asking questions, pouring, and mixing. So how is it that my children eat and enjoy healthy, flavorful, diverse dishes? 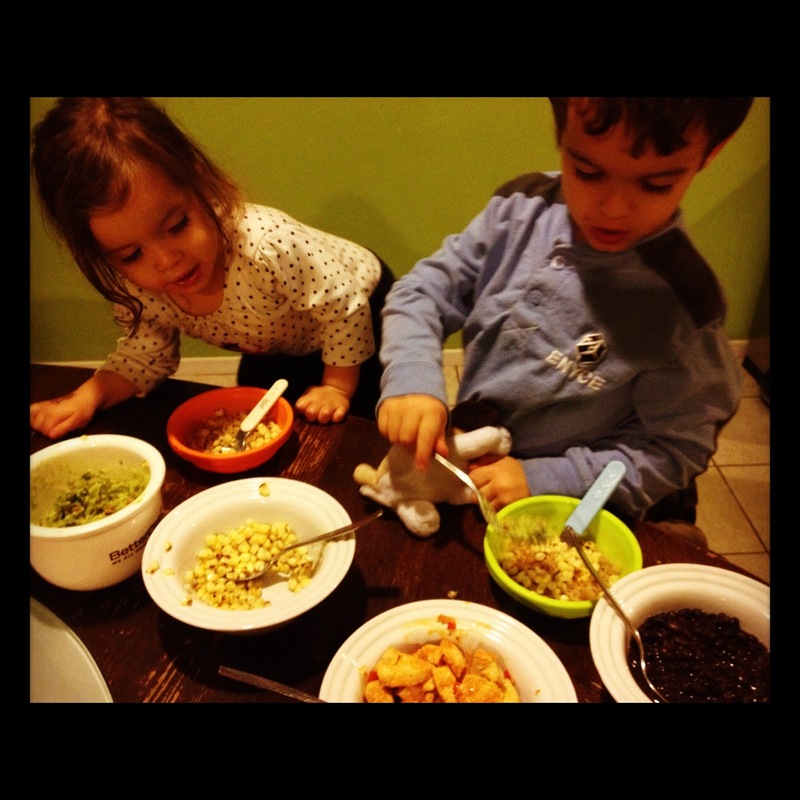 Here are my best tips for cooking healthy meals with kids. 1. Plan the meals together. Children are little people with opinions and ideas of their own. While my son doesn’t always have the final say when it comes to the meals that get served each day, I’ll often ask him, to get a feel for the type of food he’s craving on any given day. Not only does this show him that his opinions matter, it typically ensures that he’s going to eat without complaint. 2. Shop for meals together. My son knows the difference between asparagus and squash because each shopping venture is also a learning experience. While I do admit that shopping with two kids in tow can be stressful, there are times when I don’t have a choice. I use the shopping trip as an opportunity to help him practice counting, teach him about new foods, and talk about the meals we’re going to prepare that week. 3. Keep it simple. On those days when my son and I are going to prepare a meal, I opt for simple recipes that don’t require a lot of prep. This helps keep him engaged and prevents boredom or impatience. 4. Prep as much as possible ahead of time. If the recipe is moderate to difficult, I’ll chop vegetables, slice chicken, peel potatoes, etc. so that my son can be very involved with putting the meal together. For example, we recently created an Allergen-Friendly Spanish-Inspired Rice Bowl which is a great example of a dish that can be easily assembled with a bit of help from a parent. 5. Give children autonomy. Each of my children are working on mastering a variety of skills and asserting their independence. When cooking with children, it’s important to give them tasks they can complete to boost confidence and keep them interested and involved. 6. Teach by example. My children are constantly observing and even imitating my husband and I. If I ask my son to eat broccoli, I should be prepared to eat it myself which really goes for any food I’m encouraging him to try. 7. Inspire creativity. While you’re planning and prepping a meal, think about ways to creatively serve that dish. For example, you may find that shapes, colors, and even characters may inspire children, particularly when it comes to getting them to try new foods. 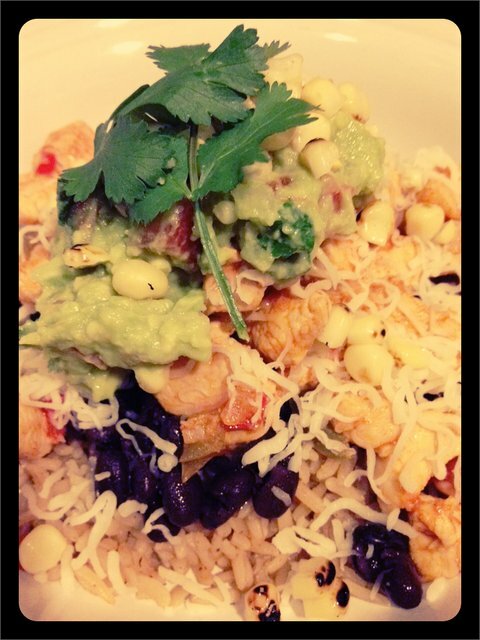 As I mentioned above, we recently created Allergen-Friendly Spanish-Inspired Rice Bowls with Homemade Guacamole. This is a particularly flavorful dish, packed with delicious vegetables and rich in flavor. Add spices and chicken broth to dried rice and prepare according to the rice cooker’s instructions. While the rice is cooking, sauté the chicken with the diced onion, green and red bell peppers. Season with a dash of cumin and a splash of lemon juice. Combine all of the ingredients above, making sure to mix well. In a bowl, start with 1 scoop of rice. Add chicken and sauteed veggies. Top with Vegan cheese and Guacamole. In the above recipe, you’ll want to chop the veggies and prepare the chicken. Once both are complete, older children can assemble the bowl without a lot of assistance. This kid-friendly recipe is flavorful and full of veggies and whole grains. It’s also relatively easy to re-create. With the start of the new year come resolutions, particularly those focused around health and nutrition. This year, Uncle Ben’s wants parents to spend some time in the kitchen, cooking with their kids. The company recently launched a national contest entitled Ben’s Beginners. The grand prize is $20,000 plus a $50,000 grant towards a cafeteria makeover for your child’s school. The winner will also appear on The Rachael Ray show. To enter, submit a 2-3 minute video of you cooking a rice-based dish with your children (ages 5-12). You can visit their Facebook page to learn more about the contest. This is a compensated post written while participating in the SocialMoms and Uncle Ben’s blogging program. For more information on how you can participate, click here. what vegan cheese do you use? I have not found one I love yet? and sounds delish!! this looks yummy and I always love your pics! Great points and the recipe looks good too. You’re so right, getting kids involved in all aspects of preparing food is important. That looks so wonderfully fresh and delicious! I’m with you, it just isn’t a great meal unless there is a mess to clean up!